Scrotal Dermatitis - Can we Consider it as a Separate Entity? Department of Dermatology, Venereology and Leprosy, MGIMS, Sewagram, Wardha, Maharashtra-442012, India. *Address correspondence and reprints request to: Ajay Krishnan, Department of Dermatology, Venereology and Leprosy, MGIMS, Sewagram, Wardha, Maharashtra-442012, India. Scrotal dermatitis is a very common condition that has been easily overlooked by most dermatologists and treating physicians. The condition is easily mistaken for the common skin disorders affecting the area, like fungal infections. Scrotal dermatitis is not considered a separate disease entity and is usually considered a condition similar to the contact dermatitis occurring elsewhere. This article attempts to classify the condition as a separate disease entity and explains the various etiological factors and the pathogenesis of the condition. The various stages of the condition are also explained in detail. Newer treatment modalities like the use of narrow band UVB for the management of scrotal dermatitis is also highlighted in this article. Keywords: Dermatitis; Scrotum; Narrow band. 1MSc of Midwifery, Lecturer and Faculty Member of Department of Midwifery, School of Nursing & Midwifery, Mashhad University of Medical Sciences, Mashhad, Iran. 2PhD student of Nursing, Lecturer and faculty member of Department of Nursing, School of Nursing & Midwifery, Mashhad University of Medical Sciences, Mashhad, Iran. *Address correspondence and reprints request to: Samira Ebrahimzadeh Zagami, MSc of Midwifery, Lecturer and Faculty Member of Department of Midwifery, School of Nursing & Midwifery, Mashhad University of Medical Sciences, Mashhad, Iran. Objectives: Opioids are most widely used for pain relief during childbirth. An alternative opioid, fentanyl, has been shown to be a good option for pain management and has fewer side-effects on both mother and fetus. Therefore, the purpose of this study is to determine the effect of fentanyl on pain as well as the duration of the active phase of labor. Methods: This clinical trial was conducted on 70 multiparous parturients having labor from May to July 2006 at Tamin Ejtemai Hospital. They were selected by convenience sampling at the beginning of the active phase of labor. The samples were then randomly divided into the case and control groups. The case group received fentanyl 50 micrograms in two doses, one hour apart after being diluted (0 and 60 mins). Vital signs were recorded pre-administration and 5, 15, 30, 45, 60 minutes post-administration. Pain intensity was estimated by visual pain scale (0-10) four times (before and 1, 2, 3 hours after the intervention). Data analysis was done using the student t-test, repeated measure ANOVA and chi-square tests via SPSS 11.5 software. Results: The results showed a significant reduction in pain (p=0.002) and HR (p=0.001) in the case group. The mean pain score also decreased from 8±1 to 5±1. There was a significant difference in terms of the duration of the active phase between the two groups (p=0.001). However, there were no significant differences in terms of systolic blood pressure and diastolic blood pressure between the two groups. Conclusion: Fentanyl provides good analgesic effect for pain management during labor by considerably reducing the duration of the active phase, and can therefore be used as an acceptable analgesic agent during labor. Keywords: Fentanyl; Analgesia; First stage labor; Pain. 1MSc, MD, MPH (Primary Health care) Specialist Public Health - Primary Health care Department of Health Affairs, Directorate General of Health Services- North Batinah Governorate Sultanate of Oman. 2Associate Professor Primary Care Research Unit Department of General Practice, University of Melbourne Australia. 3Care Research Unit Department of General Practice, University of Melbourne Australia. *Address correspondence and reprints request to: Ali Abdullah Al-Maqbali, MSc, MD, MPH (Primary Health care) Specialist Public Health - Primary Health care Department of Health Affairs, Directorate General of Health Services- North Batinah Governorate Sultanate of Oman. Objectives: To estimate the prevalence of pre-hypertension and its association with some selected cardiovascular risk factors among the Omani adult population in the primary healthcare setting. Method: A cross-sectional study involving a sample taken from a National Screening Program of chronic non-communicable diseases in primary healthcare institutions, Sohar city, Sultanate of Oman (July 2006 - December 2007). Inclusion criteria included Omanis aged 40 years or above residents of Sohar city attending primary healthcare institutions not previously diagnosed with diabetes mellitus, hypertension, or chronic kidney diseases. Descriptive statistics were used to describe the demographic, physical and metabolic characteristics. Univariate analysis was used to identify the significant association between the characteristics and normal blood pressure, pre-hypertension and hypertension. Chi-squared test was used for categorical variables analysis and independent t-test was used for continuous variables analysis. In order to examine the strength of significant associations, the multinomial logistic regression analysis was used. Results: There were 1498 participants, 41% were males and 59% were females. Overall, pre-hypertension was observed in 45% of the total study population (95% CI: 0.422 - 0.473). There were more males affected than females (46% versus 44%). About 34% of the total study population was hypertensive. The multinomial logistic regression analysis revealed that an increase of one unit of age, body mass index, fasting blood glucose and total blood cholesterol, were significantly associated with higher risk in both pre-hypertension and hypertension. High odds ratio of pre-hypertension and hypertension was found with the total blood cholesterol. Conclusion: The prevalence of pre-hypertension was high among the Omani adult population. The determinants of pre-hypertension in this research age, body mass index, fasting blood glucose and total blood cholesterol. A cost-effectiveness study about the management of pre-hypertension within primary healthcare is significant in the future health system service strategies. Keywords: Pre-hypertension; Diabetes; Hypertension; cardiovascular diseases. 1Department of Community Medicine, School of Medical Sciences, Health Campus 16150, Kubang Kerian, Kelantan, Malaysia. 2Population Health and Preventive Medicine Discipline, Faculty of Medicine, Universiti Teknologi MARA (UiTM), Selayang Campus, 68100 Batu Caves, Selangor Darul Ehsan, Malaysia. 3Department of Head-Neck Surgery and Otorhinolaryngology Department, School of Medical Sciences, Universiti Sains Malaysia, Health Campus 16150 Kubang Kerian, Kelantan, Malaysia. *Address correspondence and reprints request to: Baharudin Abdullah, Department of Head-Neck Surgery and Otorhinolaryngology Department, School of Medical Sciences, Universiti Sains Malaysia, Health Campus 16150 Kubang Kerian, Kelantan, Malaysia. Objectives: Noise is known to be one of the environmental and occupational hazards listed in the Factory and Machinery Act 1967. Quarries with loud deafening sounds from trucks and machineries pose the risk of noise-induced hearing loss to workers. This study was designed to assess the knowledge, attitude and practice towards noise-induced hearing loss and to determine the prevalence of noise-induced hearing loss and its associated factors among quarry workers in a north-eastern state of Malaysia. Methods: A cross-sectional study was conducted at six quarries in a north-eastern state of Malaysia, with 97 consented respondents who answered a validated version of a questionnaire and underwent pure tone audiogram. The respondents were male, aged between 18 to 50 years, working in the quarry area for at least 6-months duration with no family history of ear diseases. Results: The mean percentage scores of knowledge, attitude and practice were 44 (11), 70 (10) and 28 (16) percent, respectively. The prevalence of noise-induced hearing loss was found to be 57 (95% CI: 47, 67) with 46 (84%) having mild and moderate noise-induced hearing loss, and 34 (62%) involved both ears. Multiple logistic regressions showed that age and practice score were the associated factors with odd ratios of 1.1 (95% CI: 1.1, 1.2; p<0.001) and 0.9 (95% CI: 0.8, 1.0; p=0.008), respectively. Conclusion: The knowledge, attitude and practice scores of the respondents were poor and the high prevalence of noise-induced hearing loss was contributed by factors such as poor practice and old age. Keywords: Noise-induced hearing loss; Knowledge, attitude and practice; Prevalence; Quarry workers. *Address correspondence and reprints request to: Abdullah Saleh Al-Samawi, Department of Pathology, Faculty of Medicine and Health Sciences Sana'a University. PO Box 13078 Sana'a, Yemen. 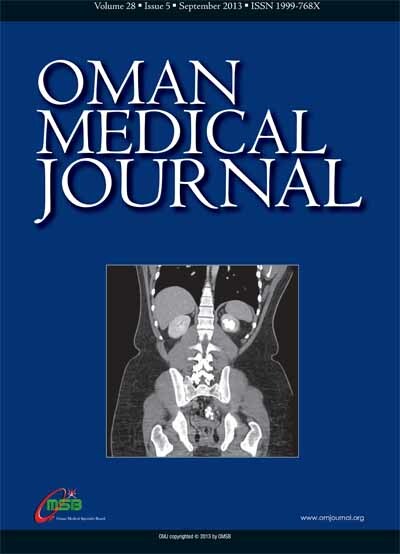 Methods: This is a descriptive record-based study of 316 cases of bladder cancer diagnosed by two pathologists at the Department of pathology, Sana'a University from 1st January 2005 to 30th April 2009. The diagnoses were made on hematoxylin and eosin stained sections and categorized according to WHO/ISUP 1998 classification. Results: Out of 316 urinary bladder cancers, 248 (78%) were urothelial neoplasms, 53 (17%) were squamous cell carcinoma, 7 (2%) were adenocarcinoma, and 3 (1%) were rhabdomyosarcoma. The remaining cases were metastatic carcinomas (n=3), small cell carcinoma (n=1), and non-Hodgkin's lymphoma (n=1). The urothelial neoplasms observed were carcinoma in situ 4 (2%), papilloma 7 (3%), papillary urothelial neoplasm of low malignant potential 26 (11%), papillary urothelial carcinoma of low grade 107 (43%), papillary urothelial carcinoma of high grade 18 (7%), and non-papillary urothelial carcinoma of high grade 85 (34%), with 60 years mean age for males and 58 years for females; along with a male to female ratio of 4:1. The peak incidence was observed in the 61-70 years age group. Conclusion: This study documents a high frequency of urothelial neoplasms, mostly papillary urothelial carcinoma of low grade and non-papillary urothelial carcinoma of high grade with male preponderance and peak incidence in 6th decade of age. Keywords: Urinary bladder cancer; Urothelial carcinoma; Schistosomiasis; Yemen. 1Breast Unit, Department of Surgery, Sultan Qaboos University Hospital, Al-Khoud, P.O. Box 912, PC 111, Muscat, Sultanate of Oman. 2Breast Unit, Department of Radiology, Sultan Qaboos University Hospital, Al-Khoud, P.O. Box 912, PC 111, Muscat, Sultanate of Oman. 3Breast Unit, Department of Pathology, Sultan Qaboos University Hospital, Al-Khoud, P.O. Box 912, PC 111, Muscat, Sultanate of Oman. 4Breast Unit, Department of Medicine, Oncology, Qaboos University Hospital, Al-Khoud, P.O. Box 912, PC 111, Muscat, Sultanate of Oman. *Address correspondence and reprints request to: Adil Aljarrah, Breast Unit, Department of Surgery, Sultan Qaboos University Hospital, Al-Khoud, P.O. Box 912, PC 111, Muscat, Sultanate of Oman. Breast cancer is the most common cause of metastatic deposits in the skeleton, and bone is the most common site of recurrence of breast cancer. Breast cancer metastasis most commonly affects the spine, ribs, pelvis, and proximal long bones; however, only 3.5% of breast cancer patients develop long-bone metastases. The humerus is the most common upper-extremity site for bony metastasis, and pathologic fractures can result. The patient in the current study presented with breast cancer and discovered to have humeral head metastasis during initial workup. The dilemma was in investigation the modality to confirm humeral head metastasis as there are many differential diagnoses with similar findings. After staging workup, the patient was treated with neoadjuvant chemotherapy followed by modified radical mastectomy and radiotherapy of the chest wall and the shoulder. The lesion in humerus was well healed. Keywords: Mucinous breast cancer; Solitary humeral bone metastases; Neoadjuvant chemotherapy-radiotherapy. 1Assistant Professor, Department of Medicine, Medical College, Kolkata-700073, India. 2Assistant Professor, Department of Surgery, Medical College, Kolkata-700073, India. *Address correspondence and reprints request to: Gouranga Santra, Assistant Professor, Department of Medicine, Medical College, Kolkata-700073, India. Segmental gut gangrene is a very rare presentation in pregnancy. Gut obstruction (bands and adhesions) and vascular diseases (embolism, thrombosis, vasculitis and thrombophilia) are the usual causes of gut gangrene. In this report, we present a rare case where lower uterine cesarean section was done for fetal distress in an elderly primigravida with term size pregnancy and idiopathic segmental small gut gangrene was identified. Keywords: Pregnancy; Small gut; Gangrene. 1Department of Oral Medicine and Radiology, Institute of Dental Sciences, Bareilly (UP), India. 2Post Graduate Student, Department of Oral Medicine and Radiology, Institute of Dental Sciences, Bareilly (U.P), India. *Address correspondence and reprints request to: Ankkita chakarvarty, Post Graduate Student, Department of Oral Medicine and Radiology, Institute of Dental Sciences, Bareilly (U.P), India. Hemifacial hyperplasia is a rare developmental anomaly exhibiting asymmetric growth of one or more body parts. It is characterized by hyperplasia of tissues rather than a hypertrophy, so it is better to call it hyperplasia rather than hypertrophy. Hemifacial hyperplasia may be associated with deformities of the skeletal system, including macrodactyly, polydactyly, syndactyly, scoliosis, tilting of the pelvis, and clubfoot. Though the etiology is unknown, various factors have been described. To date, very few cases have been reported thus far, according to the data we have collected. Through literature search, hemifacial hyperplasia was often implicated on the right side compared to the left. In contrast, we describe a case of hemifacial hyperplasia on the left side of the face in this report. This is a rare presentation for the condition which is detailed in this case report of hemifacial hyperplasia in a 50-year-old female who presented with unilateral facial enlargement since birth. Keywords: Hemifacial hyperplasia; Facial asymmetry; CT scan. 1Food Science and Nutrition Department, College of Agricultural and Marine Science, Sultan Qaboos University. 2Physical Education Department, College of Education, Sultan Qaboos University Sultan Qaboos University, P.O.Box 34, P.C. 123, Al Khoud, Muscat, Sultanate of Oman. *Address correspondence and reprints request to: Hashem A. Kilani, Physical Education Department, College of Education, Sultan Qaboos University Sultan Qaboos University, P.O.Box 34, P.C. 123, Al Khoud, Muscat, Sultanate of Oman. Objective: Adequate dietary intake is crucial for optimum training and performance of athletes. There is almost no available information related to dietary practices among Omani athletes, especially during the competition. This study aimed to assess the nutritional practices (nutritional knowledge, eating habits and daily nutrients intake) among Omani male handball athletes in Muscat city, Oman. Methods: This is a cross sectional study including 35 male handball athletes involved in serious training for no less than three years. Data collection was done through personal interviews using a study questionnaire which enlisted questions relating to socio-demographic information, anthropometric measurements and nutritional practices. All the study participants declared no intake of anabolic steroids. Results: The mean age of the study participants was 27 ± 3 years. Their anthropometric assessment revealed that their mean height was 166 ± 12 cm, mean weight was 75 ± 10 kg, and body mass index was 27 ± 3. Nutritional knowledge analysis revealed that 80% had no nutritional supervision by a nutritionist/dietitian. Their knowledge of nutritional requirements was only 23% correct for total energy intake, 63% for protein intake, 46% for carbohydrate intake, 11% for fat intake and 83% for water intake. Eating habits indicated that 55% had <3 meals/day, 51% had lunch as the principal meal, 51% always added extra salt to their food, 28% took protein supplements on a daily basis, and 51% used pre-competition glycogen load diet. However, none consumed vitamins or mineral supplements. The mean daily caloric intake was 3674 ± 265 kcal/day, which was roughly comprised of 596 ± 66 g carbohydrates, 147 ± 28 g of protein and 78 ± 20 g of total fat. Conclusion: Professional nutritional supervision is needed in order to improve the nutritional knowledge and eating habits of Omani athletes, and therefore improve their athletic performance. Keywords: Athletes; Dietary intake; Nutritional Knowledge; Oman. 1Department of Psychiatry, College of Medicine, Baghdad University, Baghdad, Iraq. 2Department of Community Medicine, College of Medicine, Baghdad University, Baghdad, Iraq. 3Department of Behavioral Medicine, College of Medicine and Health Sciences, Sultan Qaboos University, P.O. Box 35, Al-Khoudh 123, Muscat, Sultanate of Oman. 4Department of Psychiatry, Medical City Teaching Hospital, Baghdad, Iraq. 5Department of Family Medicine and Public Health, College of Medicine and Health Sciences, Sultan Qaboos University, P.O. Box 35, Al-Khoudh 123, Muscat, Sultanate of Oman. 6Department of Pharmacology & Clinical Pharmacy, College of Medicine & Health Sciences, Sultan Qaboos University, P.O. Box 35, Al-Khoudh 123, Muscat, Sultanate of Oman; Gulf Health Research, Muscat, Sultanate of Oman. *Address correspondence and reprints request to: Samir Al-Adawi, Department of Behavioral Medicine, College of Medicine and Health Sciences, Sultan Qaboos University, P.O. Box 35, Al-Khoudh 123, Muscat, Sultanate of Oman. Objective: Few studies have examined clinical and demographic profile of attendees of a walk-in psychiatric clinic in countries ravaged by wars. The aim of this study is to quantify the characteristics of attendees of an open walk-in psychiatric clinic in a general hospital in Baghdad and the suburb towns of Iraq in the year 2010. Methods: As part of a retrospective survey, information on specific variables (socio-demographic background, clinical characteristics and attendance rate) were sought from medical records in the year 2010 (January to December). Results: Despite the shortcomings expected from a country coming out of the ravage of war, the survey included 2,979 attendees (1,864 [63%] males and 1,115 [37%] females) of a walk-in psychiatric clinic who fulfilled the inclusion criteria. The profile of attendees indicated that a majority of the cohort was self-referred with a predominance of employed males, aged 19 to 49 years, residing in Baghdad City. Depression and psychosis were the most common diagnosis given. Conclusion: The observed patterns are discussed within the available literature relevant to consultation liaison psychiatry, and specific to situations in Iraq and Arab/Islamic cultural patterning. Keywords: Retrospective survey; Socio-demographic; Referral; Statistical Manual of Mental Disorders; Iraq.